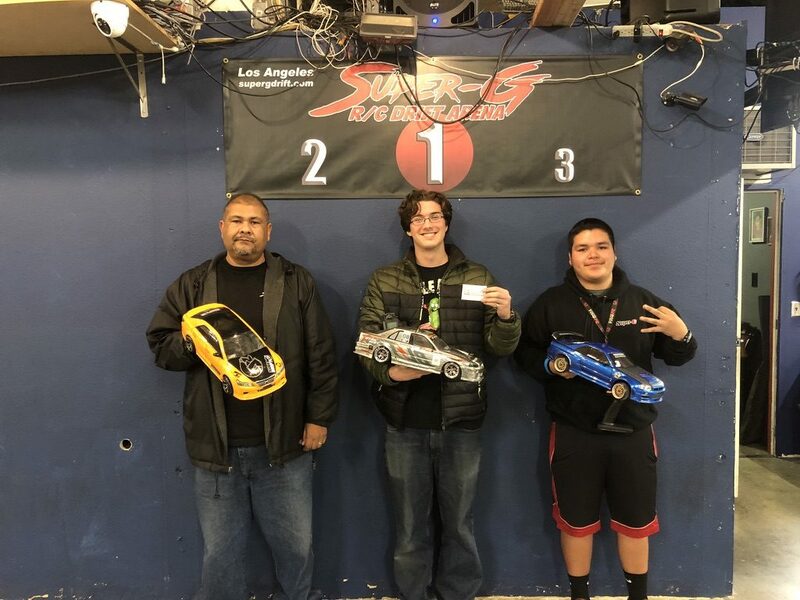 It was another great weekend here at Super-G R/C Drift Arena! The competition at the Saturday Night Showdowns is getting good! The mood has been light and it looks like everyone is getting comfortable with competing. That’s the objective of the SNS. Tim Mulhmeyer was shooting for his second win in a row, but as always, the competition is always fierce! Judging for the evening was Colin Chambers and myself. Thank you Colin for taking the time to help judge! We had 16 competitors this week, Shilun Gu (Allen) joined us from NorCal which is always fun! 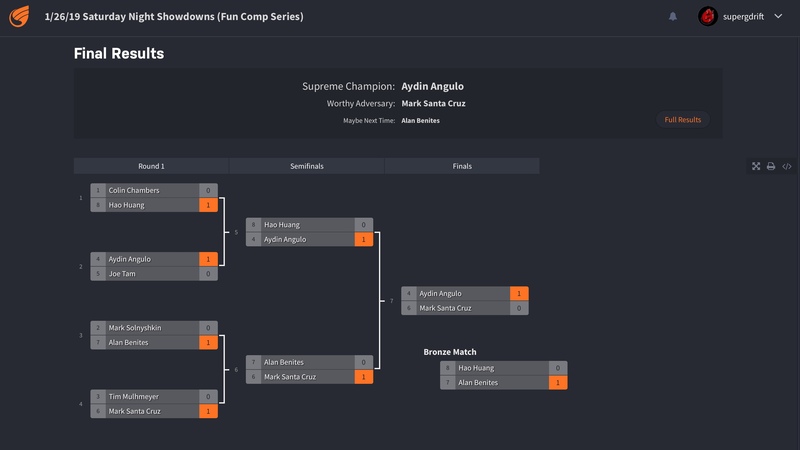 The Top 4 came down to Hao Huang vs Alan Benites for 3rd and 4th, and Mark Santa Cruz vs. Aydin Angulo for 1st and 2nd! Both Hao and Alan have some mad speed and they both used it for their final battles! Although both put up a great fight, Hao straightened in a couple area giving Alan the edge, and also 3rd Place on the Podium! Then it was Mark vs. Aydin for the Top Spot! Great runs by both competitors, but Mark had made contact with one of the barriers, securing his 2nd place spot. 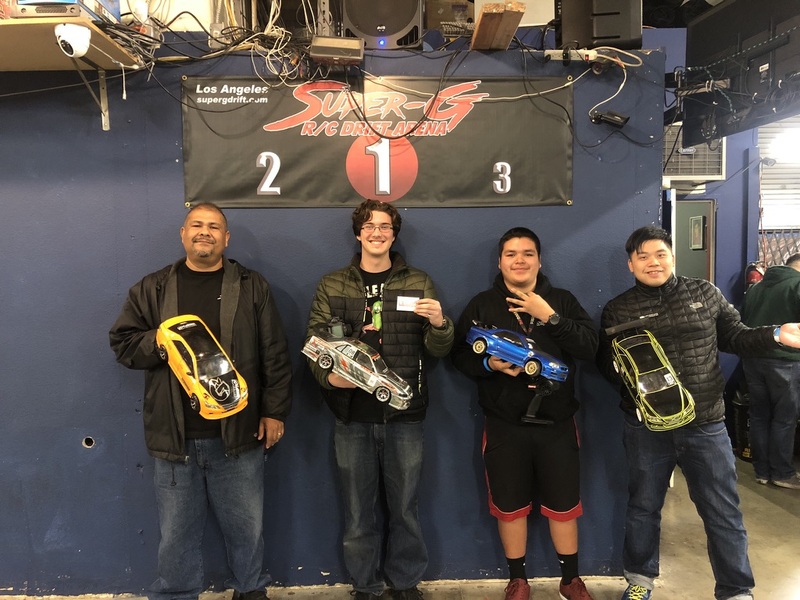 Aydin emerged the winner taking 1st Place for the night! Congratulations Aydin! Congratulations to our winners of the Saturday Night Showdowns week 3! Can’t wait to get it on next Saturday!!! See you then! Hao Huang getting in on his 4th place pic!